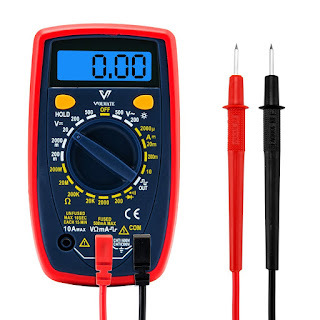 #multimeter I recently had the opportunity to try out the Volmate Mini Portable Digital Multimeter. It's small size makes it very portable and handy, so much easier to carry around than the bigger bulky ones, but it's still very accurate. It comes with the multimeter, a 9v battery, and a pair of test leads. This multimeter has a back lit LCD display so it's easy to read in dimly lit spaces, which is a nice feature especially if you;re working on wiring in a dark area. 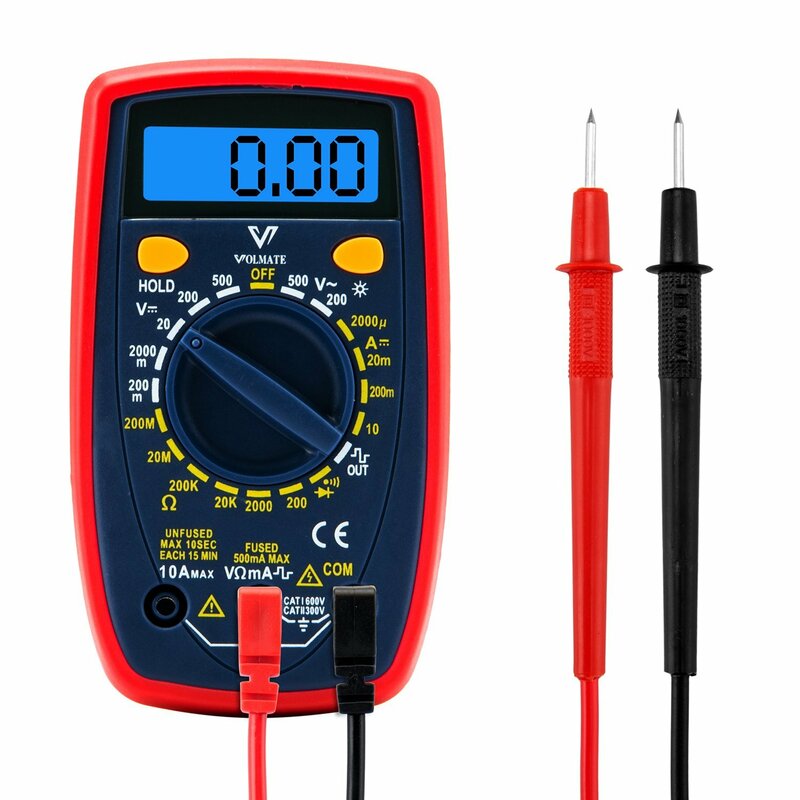 This multimeter accurately measures current, voltage, resistance, and more. It displays quickly with 2-3 readings per second update speed. This is a tool that should be in every toolbox. You never know when you may need this handy tool.